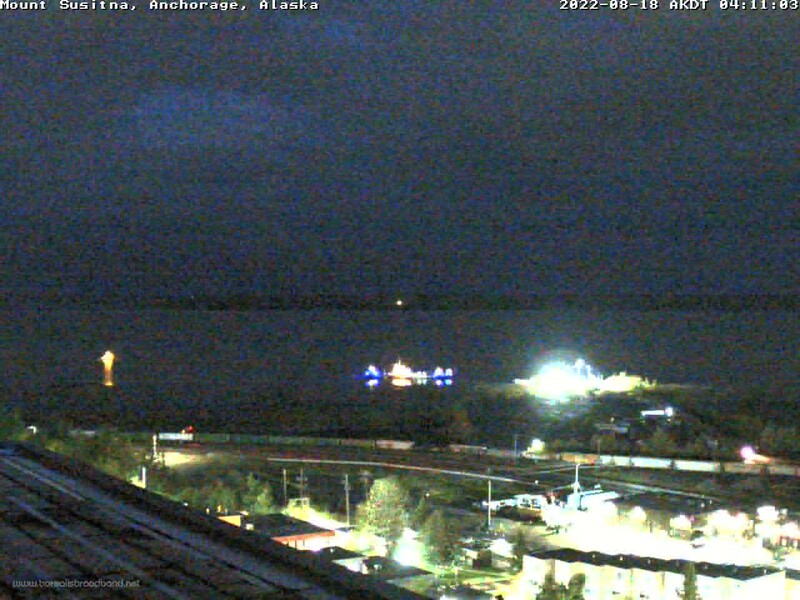 Alaska Webcams and weather cameras from around the state. These Webcams (or web cams) provide the Internet user with an up to date picture or video of remote locations. Welcome to Planet Earth Adventures webcam page. Below are some of our favorite views of Alaska. Most of the webcam images on this page refresh every 30 seconds. For a manual refresh, hit the F5 key on your computer or refresh your browser. These webcams are from outside & separate sites, so Planet Earth Adventures is not responsible for their content nor their operation. Some webcams go off-line fairly often, so check back later if a particular view is not working. 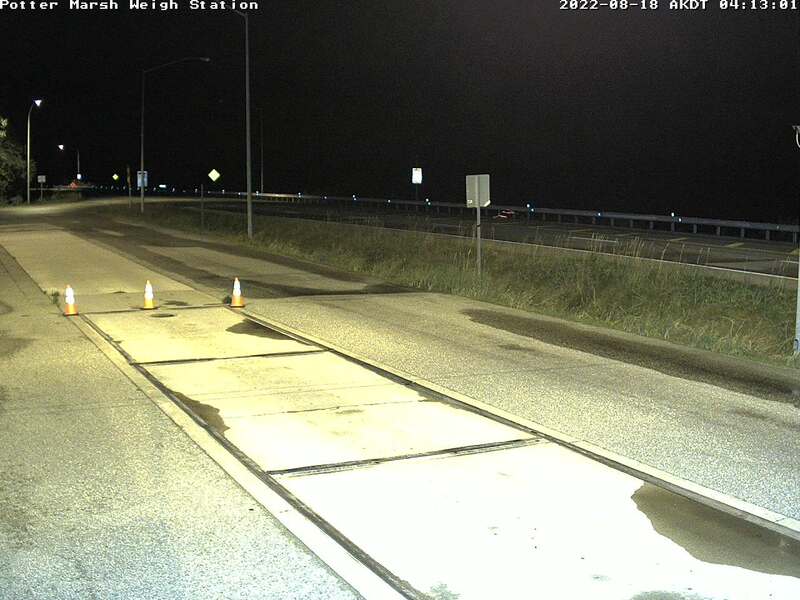 Click on the webcam images below to view larger. SOME OF OUR FAVORITE WEBCAMS . . .
Click on image thumbnail or camera title to view webcams. 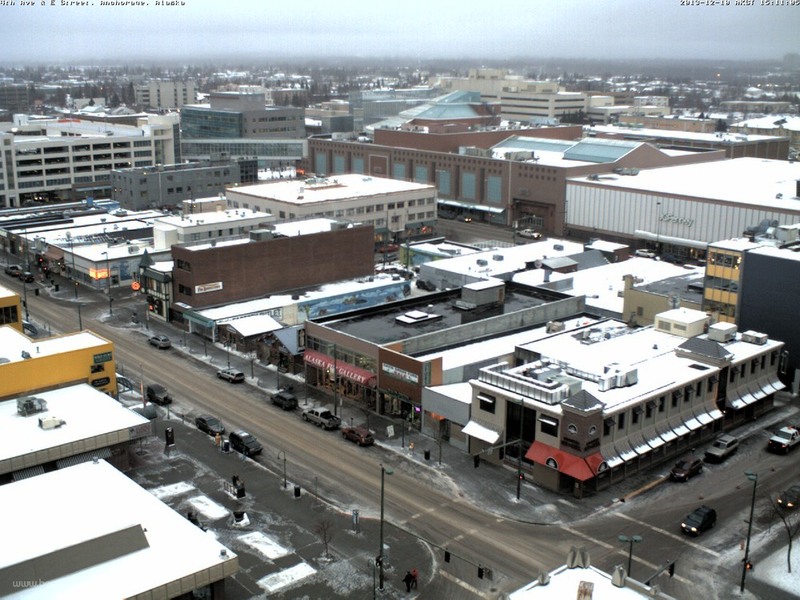 Downtown Anchorage looking over 4th Avenue. This is the staging area and starting line for the Iditarod Race. Please visit http://www.iditarod.com for event details. This image automatically refreshes every 30 seconds or for manual refresh, hit the F5 key on your computer. Webcam source: Borealis Broadband Wireless Internet Services. 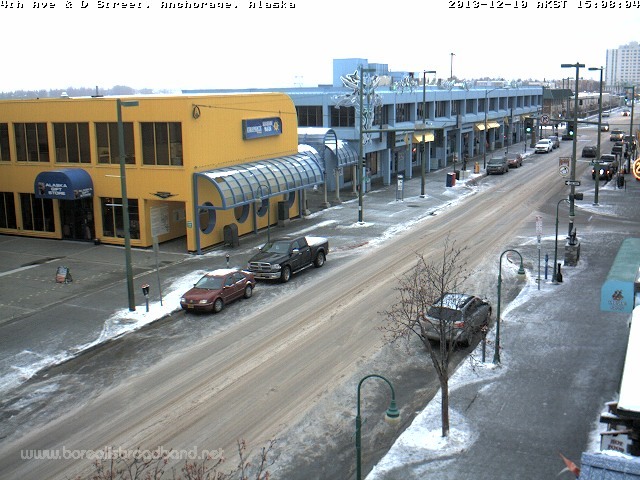 Another view of downtown Anchorage looking over 4th Avenue. This is the staging area and starting line for the Iditarod Race. Please visit http://www.iditarod.com for event details. This image refreshes automatically every 30 seconds or for manual refresh, hit the F5 key on your computer. 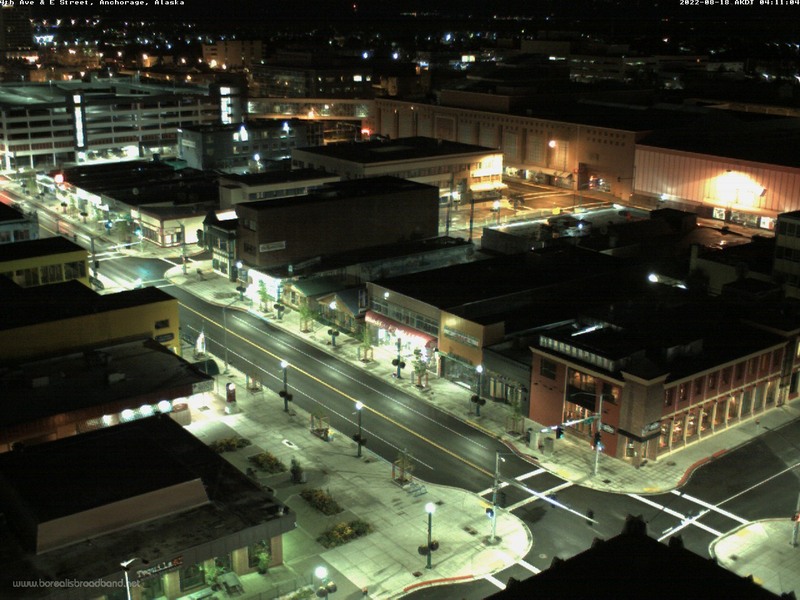 Webcam source: Borealis Broadband Wireless Internet Services. View along the Denali Highway, MP68 provided by Alpine Creek Lodge. This image refreshes automatically every 30 seconds or for manual refresh, hit the F5 key on your computer. View of Denali from Wonder Lake. Denali is 6 million acres of wild land where you can see relatively low-elevation taiga forest that gives way to high alpine tundra and snowy mountains, culminating in North America's tallest peak, Denali at 20,310 feet. This image automatically refreshes every 30 seconds. You can refresh this image manually by hitting F5. This camera goes off-line in the winter after the Park is closed. 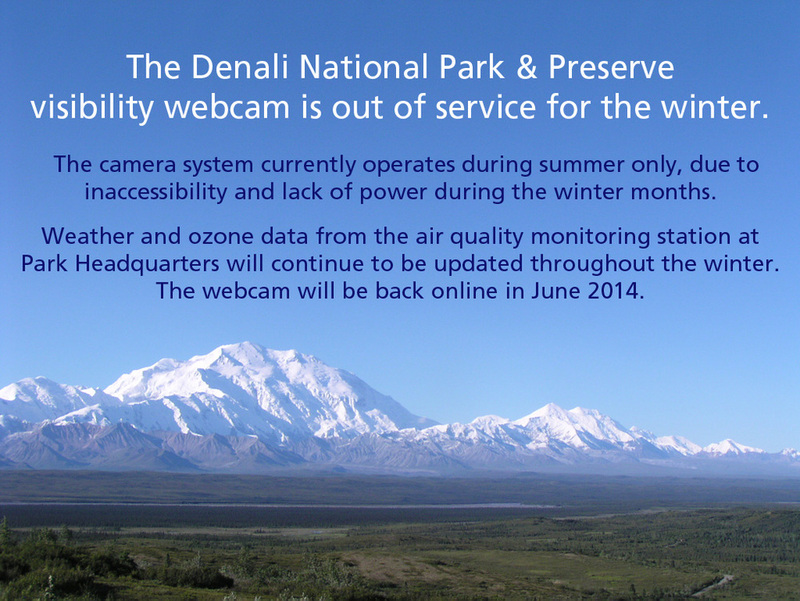 For more information about Denali National Park & Preserve, CLICK HERE. Fairbanks is the largest city in the Interior region of Alaska. Estimates put the population of the city proper at 32,324, and the population of the Fairbanks North Star Borough at 100,807, making it the second most populous metro area in Alaska. Fairbanks is located less than 120 miles (190 km) south of the Arctic Circle. Mount Susitna is about 10 air miles west of Anchorage across the Cook Inlet and rises to an elevation of 4,396 feet above sea level. This mountain sits between the Chugach Range to the south of Anchorage and the Alaska Range to the north. Visible in the foreground is the Small Boat Dock and the Cook Inlet. Mount Susitna is also known to most Anchorage residents as The Sleeping Lady because it looks like a sleeping maiden with her arms folded across her chest. This image automatically refreshes every 30 seconds. For manual refresh, hit the F5 key on your computer. 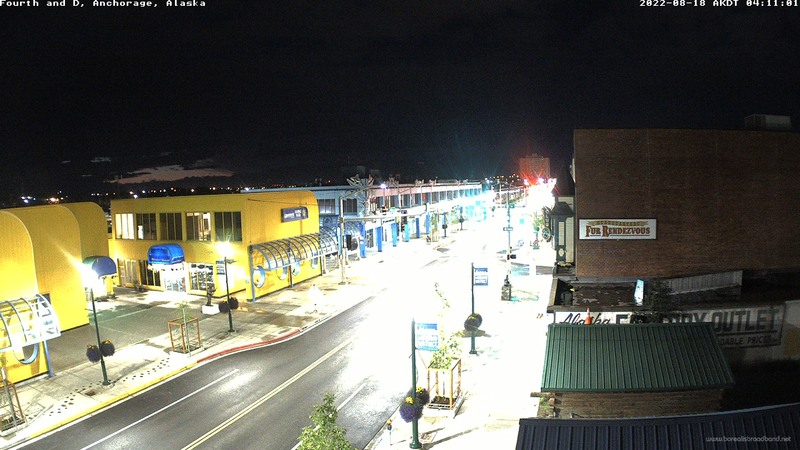 Webcam source: Borealis Broadband Wireless Internet Services. This is Front Street in Nome. The finish line of the Iditarod Race. The image automatically refreshes every 30 seconds. 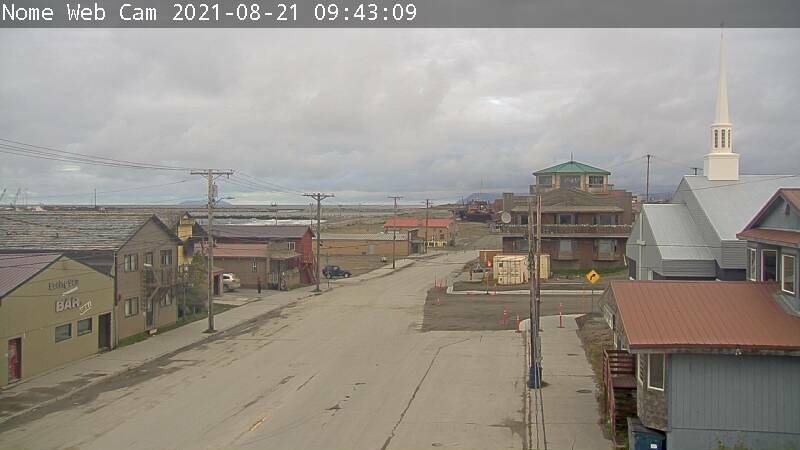 This webcam is provided by the Nome Convention & Visitors Bureau. PLEASE NOTE: DUE TO THE HIGH NUMBER OF USERS VIEWING THIS WEBCAM DURING THE RACE FINISH. THE WEBCAM MAY BE TEMPORARILY OFF-LINE AT TIMES. PLEASE DO NOT CALL US IF THIS HAPPENS. CHECK BACK LATER. PLANET EARTH ADVENTURES IS NOT RESPONSIBLE FOR THE MAINTENANCE AND OPERATION OF THIS WEBCAM. This is a webcam to view the Aurora Borealis (northern lights). This camera is located in Alaska. This image refreshes approximately every 3 minutes. Click Here for the current Aurora Forecast provided by the University of Alaska Geophysical Institute in Fairbanks. View of the Alaska Range and America's tallest peak, Denali (20,310 feet) as seen from Talkeetna. This image automatically refreshes every 30 seconds. You can refresh this image manually by hitting F5. View of the Turnagain Arm near Potter Marsh. This view looks towards the Kenai Peninsula and the Kenai Mountains. This is the Seward Highway which stretches between Anchorage & Seward. In 2000, the road was designated as an All-American Road, or National Scenic Byway. This image refreshes every 30 seconds. For manual refresh, hit the F5 key on your computer. Webcam source: Borealis Broadband Wireless Internet Services. Wishing that YOU where here? You can be, Call Us for Your Next Adventure!